Maimi tries out some new treats and prepares for the Hello! Station dance club’s long-awaited debut in her May 28th update “Yesterday…( ´▽ ` )ノ“. Full translation below. 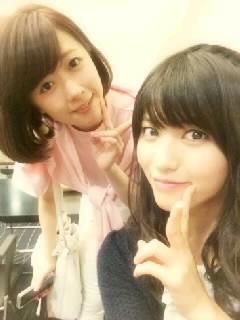 Posted on May 29, 2014, in Blog, Translations and tagged Yajima Maimi. Bookmark the permalink. Leave a comment.